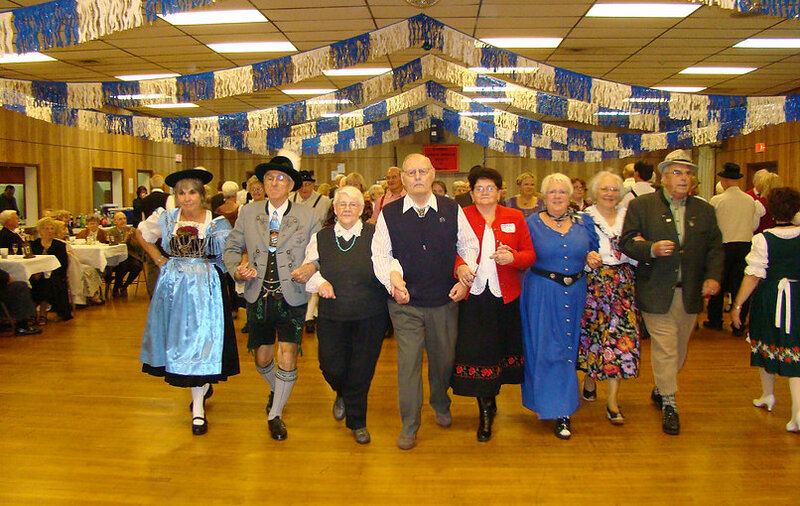 The Alpenrose German Society of York, Pa. is ready for Spring, Summer and Fall 2018 with a very busy and creative year of monthly meetings, special events, bus trips, and dances. We meet each month at Das Siebenthal Resort , 3150 Tunnel Hill Road, Seven Valleys, Pa., just a few minutes from downtown York, Pa.
Our year has started with a newly reorganized board and fresh ideas for 2018. The club would like to invite anyone who has an interest in German heritage to read about our plans for this year, and if it fits your profile, please contact us. To begin, our first social dance will be the (Maitanz) or Maydance on May 19th, 2018 at the resort, and what a fantastic affair, the club has planned. With Spring in the air, sunshine and terrific snacks, food and beverages, plus our featured band Maria and John from Columbia, Pa. you will dance the afternoon away at Siebenthal. So put on your dancing shoes and join us for a musical treat of German and American classics. For your appetite, we will have German bier, sodas and snacks included in the price of your ticket. The cost of your ticket will be (Adults $15.00) (Students $7.50) and under 10 you are free. A food truck will be available with German Brats at a reasonable cost. The time of this event will be from 2.00 PM until 6:00 PM. Doors will open at 1:30 PM for tickets. For group reservations, please contact Barbara Ann de Leon at (717) 428-2210 for a table. Please send your check by April 30th to 9216 Yellow Church Rd., Seven Valleys, Pa. 17360 to reserve a table. Our monthly meetings are the second Monday of the month at the Siebenthal Resort. The schedule is HAPPY HOUR at 4:30 PM, 5:30 PM Board meeting 6:30 PM a POTLUCK supper followed by a general meeting for the club members. Our April meeting will consist of the German students at York College, who will give a program on German-American news media reports. Mary Boldt, the German professor at York College will also be in attendance. On our agenda so far this year is a bus trip to the German-American Heritage Museum and the German Embassy. Our membership is open for new members who are ready to have fun, dance and learn all about the German culture here in York County. For additional information or to join the club, please contact Barbara Ann de Leon by phone (717) 428-2210 or E-mail at paroyalty639@yahoo.com.